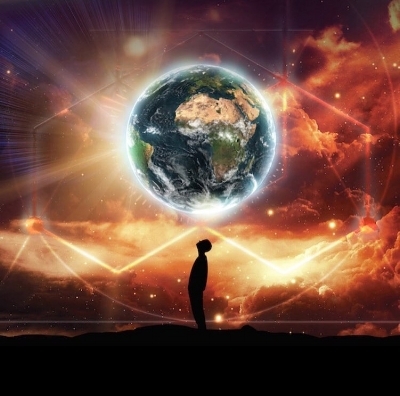 On this episode of the Galactic Goddess Podcast we discuss what is means to be a Starseed and how one can discover their Starseed roots and use their consciousness and knowledge to awaken the planet and assist humanity. We also share our Starseed awakening stories and discuss different ET races and the importance of understanding our celestial roots. Other topics covered in this episode include: 11:11, Starseed missions and being of service, navigating the Matrix and dark forces as a Starseed, Hollywood and dark influences on Starseeds, Cosmic wars, as well as embracing the role of the Starseed as a superhero, galactic teacher and leader, warrior, and renegade activator of higher consciousness. On this episode of the Galactic Goddess Podcast we discuss how to live life as an awakened being in the Matrix, including how to reconcile making money, pursuing your dreams, and functioning in a society that is still asleep in the dream. Remember, don’t leave your dreams and goals behind when you awaken- you can still achieve what you want if you feel it brings you joy and is in alignment with your highest truth! You are free! Your Empath Survival Guide is Here! I am featured on the latest episode of the Galactic Goddess Podcast bringing you an Empath's Survival Guide! On this episode Radhaa and I discuss what it means to be an Empath, how to set boundaries as an Empath, and tips and tools to thrive as an Empath during times of chaos and acceleration. I also share my energy forecast for this month. Love and blessings! We all chose extremely challenging life paths that can sometimes hold residual shame, insecurity, or trauma, but however intense our journey has been doesn’t diminish or define our totality. This is how we magnetize light to us, by working through polarity. Whatever darkness we have experienced was only meant to draw light to it. Thank you for your contribution.